From the opener to the springs, we can repair and replace any garage door part. Call one of our specialists today to find out more about our garage door repair services which include services for panels, springs, cables, openers and more. Many common problems with garage doors can be caused by faulty springs, and our technicians are trained to identify and safely handle these problems. Click here to find out about our professional replacement services. Just like your car, your garage door needs regular cleaning and maintenance to be sure it stays clean and remains in good condition for years into the future. Your local team at Garage Door Repair Alvin is at your service! Our experts cover the Friendswood to Santa Fe area and are on hand to deal with all of your service and repair needs. Years of experience in dealing with the industry's leading manufacturers, including Raynor and Windsor, mean that no matter how large or small the problem, you can rest assured that your issues will be handled quickly and professionally. 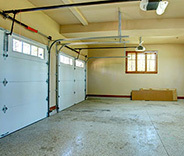 Garage door springs are essential in the operation of your garage door system. After all, they do all the heavy lifting, and this is why when they fail to function it's a major inconvenience, not to mention a safety issue. Whether your system uses extension or torsion springs both, over time, are susceptible to wear and tear. Regardless of the type your door uses, it is far too dangerous to attempt repairs or replacements yourself. Why risk harming yourself or your loved ones when you can contact your local team? 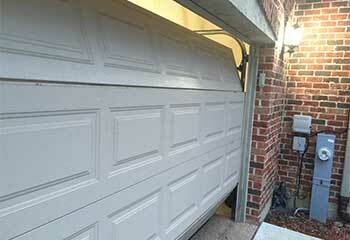 As anyone with a busy schedule knows, a malfunctioning garage door can be a major hassle. No one wants to deal with a door that fails to open and close properly after a long day at work. Not to mention, possible aggravation with your neighbors due to a noisy door! When either of these problems arises, it's time to call in the experts. 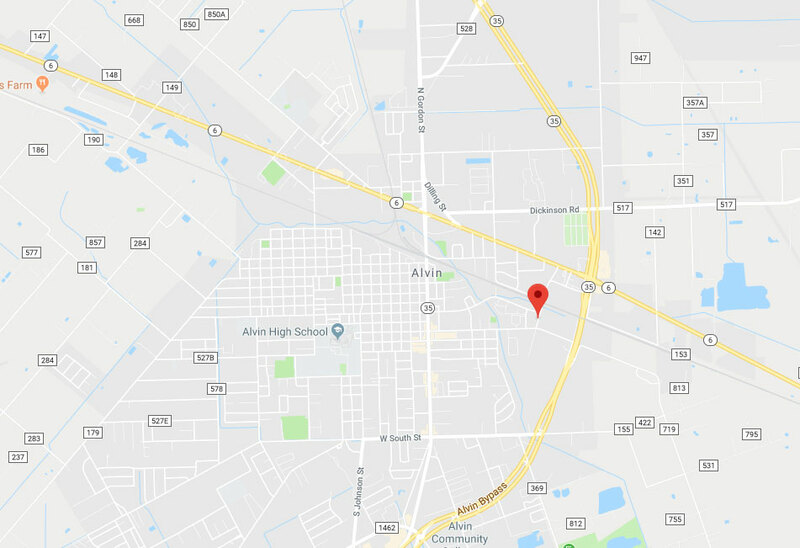 From rollers to tracks, panels to openers, and more, our Alvin team will come to the rescue whether you are in Pearland, League City or anywhere in between. 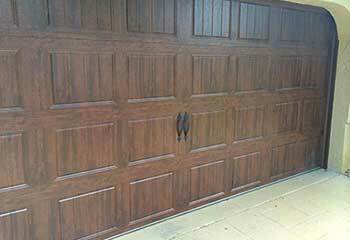 A smart garage door can make a world of difference to the appearance of your home. It can improve your property’s curb appeal not only if you are hoping to sell your home but also make the right lasting impression to visitors and passers-by. If you live in Webster or Dickinson, our experts will be happy to advise you on the best way to turn shabby into chic. You can count on our experienced technicians to provide you with informed and professional solutions to all your garage door related problems. Whether a simple repair, large scale replacement or even a new installation, you can rely on Garage Door Repair Alvin to get things done. We hire the best technicians and ensure that they are equipped to resolve your problem without delay. We use high-end products and parts, which are manufacturer-approved, so you’ll never have to worry about compatibility with your garage door. And for your peace of mind, we offer a full warranty on all our work. Count on us when your springs, opener, or panel needs to be repaired or replaced. We provide these services and much more for our Alvin customer. Click the button below to book your appointment now. Find out about some of our most recent garage door success stories. All you have to do is check out our latest projects page. This customer called us because their door panels got damaged by a falling tree branch. Click here to learn how we helped. This customer moved into a new home and wanted a new garage door. We were able to help. Learn more here. 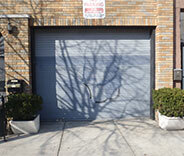 Our company offers the best garage door installation service, no matter where you bought your motor. Find out how we helped this customer. 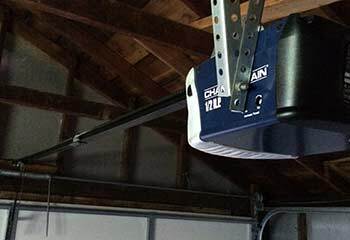 A customer contacted us to urgently repair her off-track garage door that was hanging dangerously. Find out how we helped. This customer encountered one of the classic signs of a broken spring. 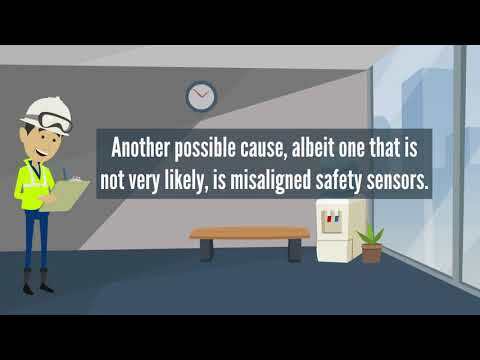 Take a look at how we helped to solve the problem. It was time to replace my garage door and the staff at this company helped us make some really smart choices. Their service and assistance was out of this world and we highly recommend the company! After accidentally bumping into my garage door I called this company. They were very courteous and fixed the track perfectly so the door works like new. I’ll definitely hire them again in the future. 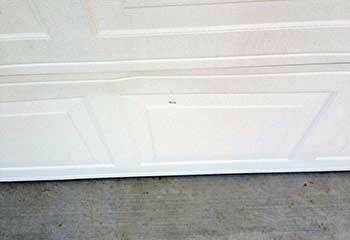 The experts from this company offered great advice and found the best solution to my garage door problem fast. They were prompt, efficient, and charged a fair price for a very efficient repair. The technicians from this company did a great job repairing my garage door opener. They arrived on time, were knowledgeable, efficient and friendly and the charge was reasonable. Really great service! My friend recommended your company to me and I wasn’t disappointed. Your technician professionally repaired my garage door springs and your service was efficient. Thanks! Your technicians adjusted the close limit switch on my garage opener and it solved the problem of my door slamming shut. Excellent service! Thanks a lot. I needed help in a hurry when my garage door came off its track. Your company really came through for me! 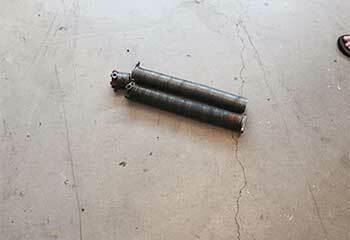 Your technicians responded promptly and replaced the damaged rollers before hanging the door properly.